John Yeager wants to know what happens to materials all the way down to the nanoscale, even when they detonate. His curiosity led to three WSU materials science degrees, and a recent award. 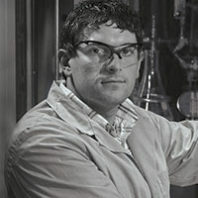 Yeager ’06, ’08 MS, ’11 PhD, now works for the Los Alamos National Laboratory’s High Explosives Science and Technology group in New Mexico. He received the Presidential Early Career Award for Scientists and Engineers in January. Anjan Bose and James R. Asay have been named members of the National Academy of Engineering (NAE), the most prestigious honor in the engineering field. Bose is dean of the College of Engineering and Architecture at Washington State University and distinguished professor in power engineering. Asay is research professor and associate director of WSU’s Institute for Shock Physics.